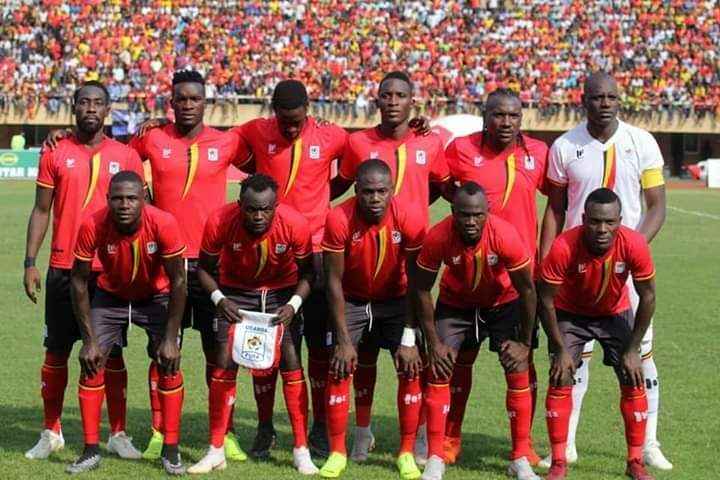 KAMPALA – The Uganda Football Men’s National team, the Cranes have improved by three places in the latest FIFA rankings. The Cranes moved from the 78th place to sit 75th having now accumulated 1320 points. To achieve the improvement, Uganda beat Cape Verde 1-0 in the AFCON Qualifiers courtesy of Patrick Kaddu before sharing spoils (0-0) with Nigeria in in a FIFA friendly. One of Uganda’s AFCON qualification opponents-Cape Verde are now joint 72nd on 1325 points tied with South Africa while Syria (74th) is just a place better than Uganda. Uganda remains the highest ranked nation in the CECAFA region with Kenya (108th) second on 1210 points. Sudan is now ranked 127th, Rwanda 137th, Tanzania 138th while Burundi moved by three places to the 139th position. Belgium remain top of the rankings followed by world champions France while Brazil, Croatia and England occupy the 3rd, 4th and 5th places respectively. Senegal who are 23rd in the world, are the highest ranked African nation followed by Tunisia in the 26th, Morocco (40th) and the Super Eagles of Nigeria in the 44th position.